This pad is great for lower back pain. Suitable for use with all HiDow TENS & EMS devices. Get the most out of your personal therapy session. The lower back electrode gel pads are compatible with all HiDow Devices. Our TENS/EMS massagers are the game-changers. They’re portable, rechargeable, and hands-free. Along with their modern design, they’re made to be low in profile so you can use them anywhere you go. Simply connect your electrodes from the device, and apply the lower back electrode gel pads for instant relief. The device will send pulses that will travel along the nerve fibers helping you feel relaxed throughout the entire session. It works by preventing pain signals from reaching the brain. As a result, the production of our natural painkillers, endorphins, is heightened. TENS massagers have been around for years, and they have been prescribed by doctors, pain management clinics, chiropractors, and physical therapists. HiDow products is a non-invasive treatment without the use of medicine that offers incredible results. Say goodbye to side effects that leave you feeling weak, and start with a pain management solution that really works. When you use our products, you’re making a commitment to yourself in ways that could benefit your wellbeing. By now, you’re probably looking into purchasing our lower back electro gel pads which mean, you’re seeing the incredible results of HiDow. For that, we applaud you. 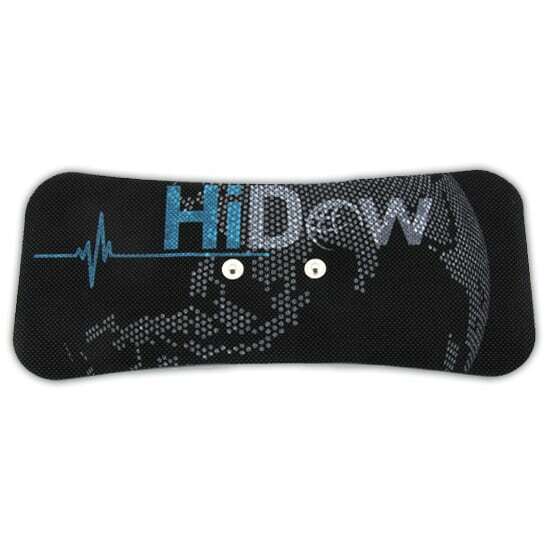 If you haven’t taken advantage of a HiDow device yet, now’s the time! Restore your wellbeing and heighten your performance today. I love these. I use them up and down my shoulder blade and they work great! We use this on our lower and upper back, shoulder and neck back. Love it! This the only thing I’ve found to control pain associated with a pinched nerve due to scare tissue. Since the alternative was having a tens unit implanted, which I refused to do. I have grade 2 Spondylosthesis. I’m in pain almost every day. A few days ago I started feeling extreme sciatic nerve pain on my left side. I was unable to put any weight on my left foot. I was wearing the belt on and off when the pain got unbearable I would put it on again. Today I have worn the belt with the TENS unit all day today. I have been able to do just about everything Ive needed to do! This is a miracle!!! I purchased the wireless unit in January and have been using these pads on my shoulder for a torn rotator cuff and have nothing but great things to say about the device and ease of use of these pads. I was scheduling surgery when I was introduced to Hi-Dow and gave it a shot and have truly put off surgery and have gained back almost full use of my arm mobility and couldn’t be more impressed with the benefit of this device. helps a lot..why must I review before she agree to sell me the itrem?